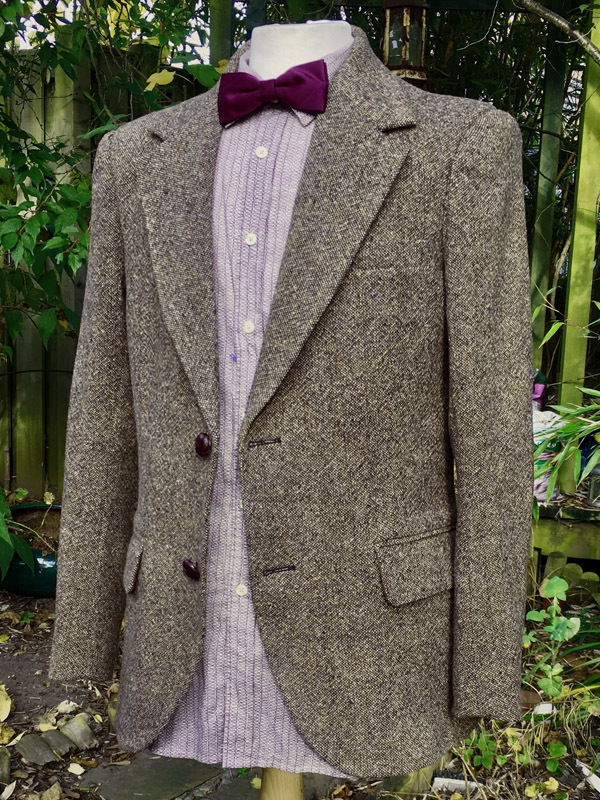 A few weeks again on Fabric Friday I showed you Matt Smith’s screen-worn Shetland tweed. It’s a very popular fabric supplied by W Bills, and the one and only sixty metre bolt soon sold out. So it wasn’t long before it was being rewoven to keep up with demand. However, being a number of years since it was original made, matching the yarns wasn’t as easy as it sounds second time around. 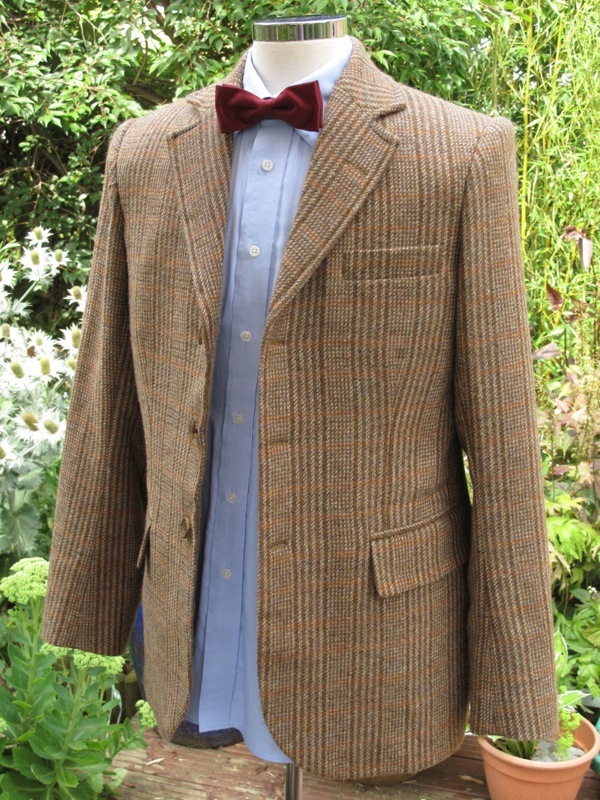 This was the first time the tweed was rewoven. The design is created from six different colours of yarn, and the weave was identical to the original, although one of the colours was not the best match. 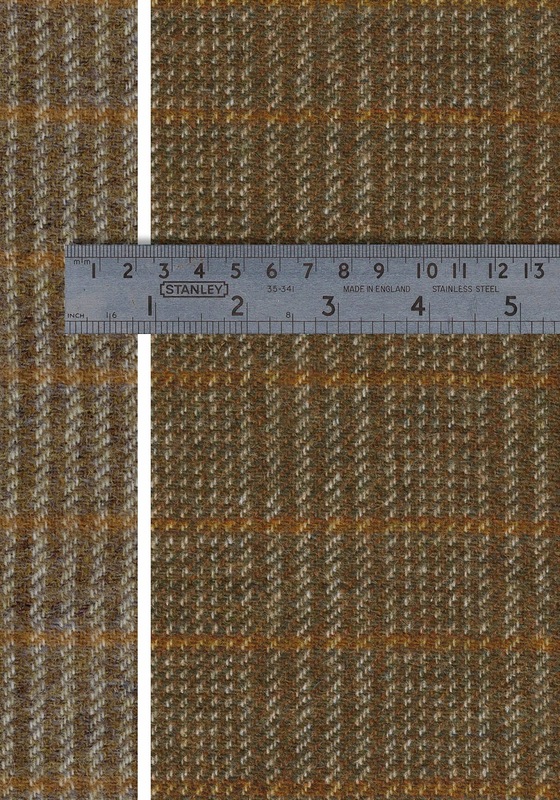 There is a sparsely used shade of green yarn woven into the brown background. The original thread was not available, so a slightly darker version had to be substituted. 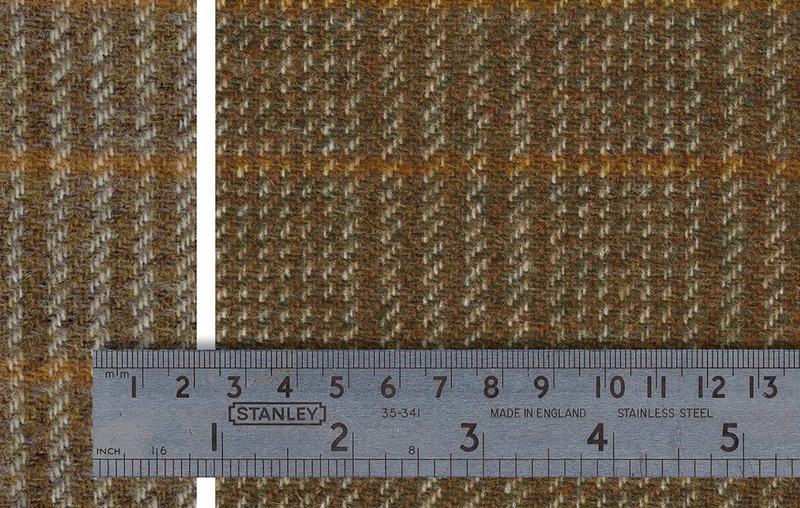 The original version of the Shetland Tweed is shown either on the left or top in each of these photos, to give a side-by-side comparison. This give the fabric an overall darker and more green shade. You can particularly see the green yarn in the extreme close-up below. 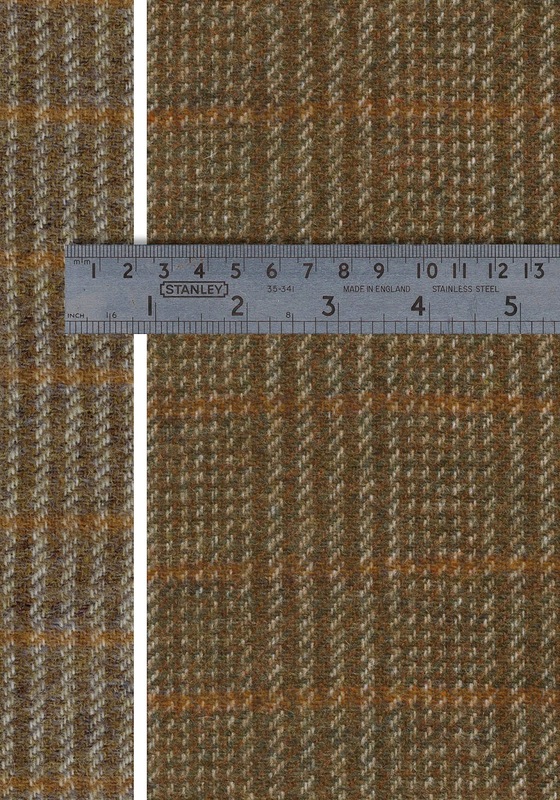 One bolt of sixty metres was woven of the Shetland Tweed in this form. 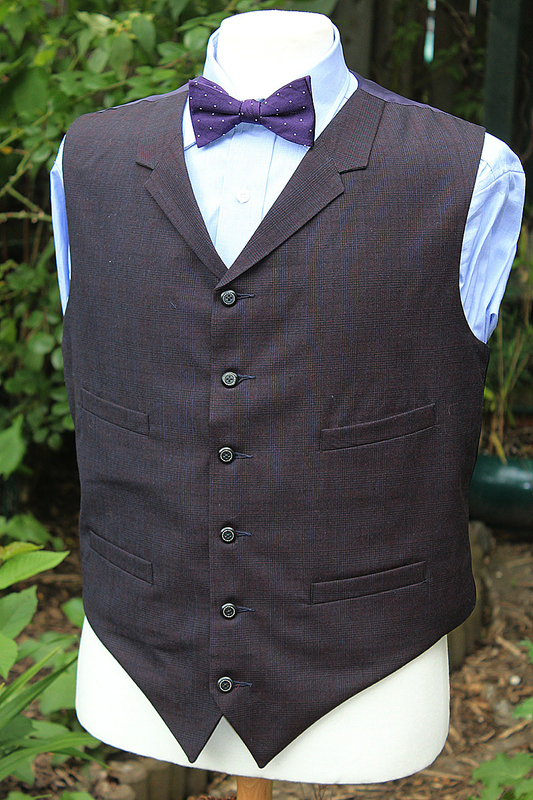 The finish of the fabric was very cut compared to the original, which had a softer and slightly fluffier surface. 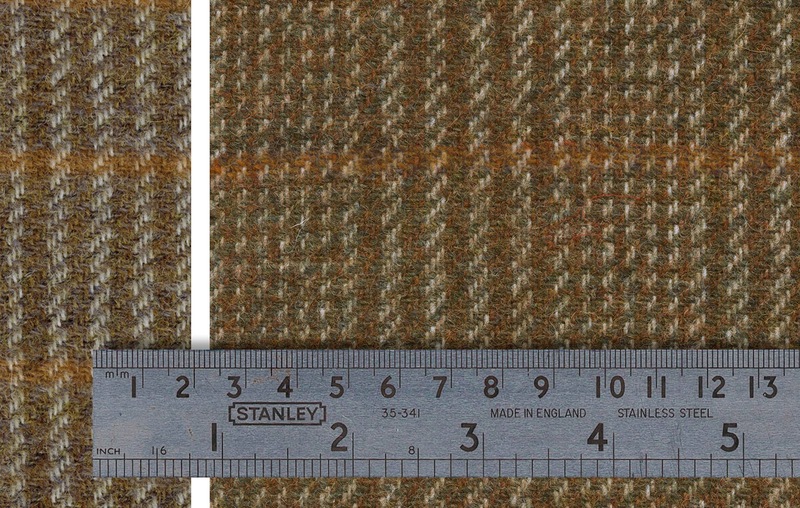 Despite giving feedback about the colour, the same six yarns were used for the next weaving, giving the fabric the same greenish blush. Again the finish is a lot more cut than the screen-worn. But the thing that is most annoying is the mismatch of spacing on the horizontal orange stripes. As you can see, if they are aligned at the top, within five repeats its already a good half-inch out. 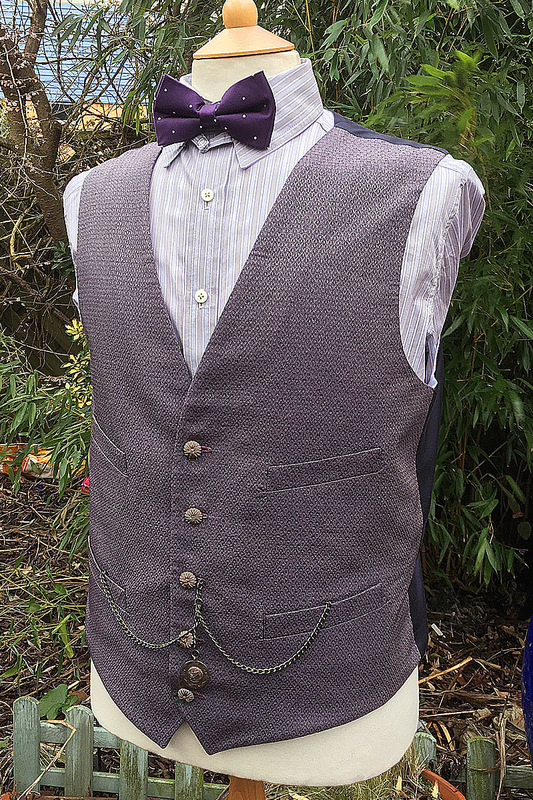 Two bolts of sixty metres each was woven of the Shetland Tweed in this form. 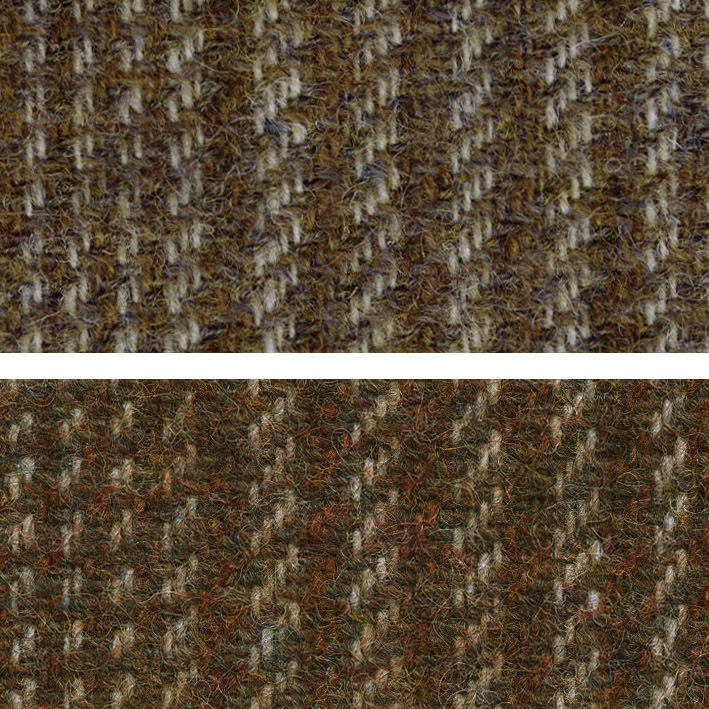 These reweaves shows that even if the SAME waver, using the SAME looms can’t always precisely match their original work. That said, there is no other option to get this exclusive designs, so it is what it is. Given my money woes, I always worry about your limited materials. So it's always great to read stuff like this where you're discussing reweaving materials. 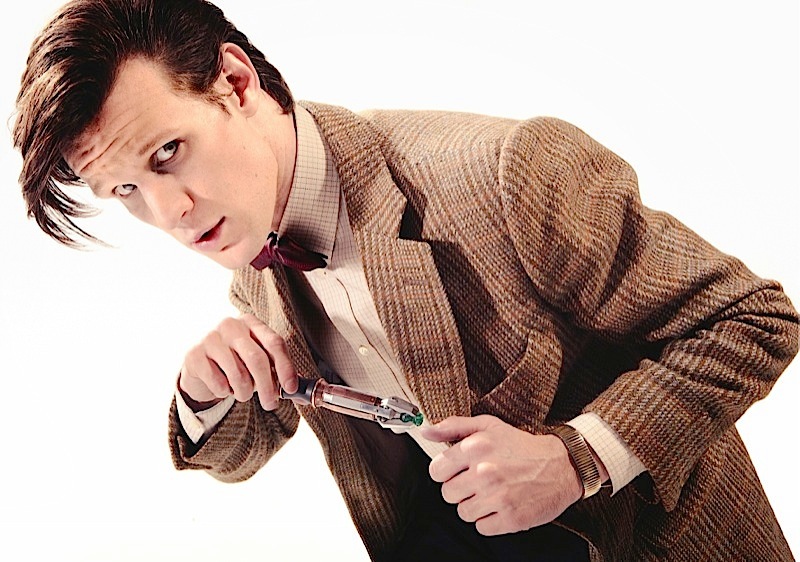 I suppose the best way to think about the inaccuracies with the weave is that; it's made by the same weaver, so at the end of the day it's no different than if the BBC commissioned them to reweave some more for another jacket. These kinds of things tend to have variation in them from time to time. It's still the closest thing to owning the real jacket anyhow! I wouldn't have thought the difference would be so noticeable. Of course, if we weren't looking so closely it probably wouldn't be too noticeable at all. Very interesting, though. How do you suppose the look new weave compares to the Abbyshot coat? 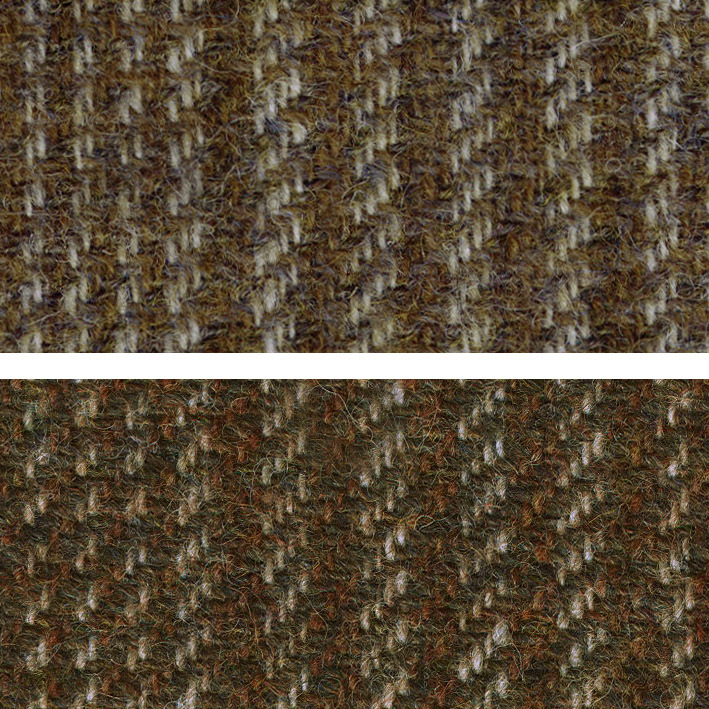 I'm sure the quality of fabric is better quality, but I was curious as to your opinion seeing as how you've seen them all. Thoughts?